"Like a phoenix rising from the ashes, Kepler has been reborn and is continuing to make discoveries," says Andrew Vanderburg, who led the team behind the find. NASA said the discovery was confirmed with measurements taken by the HARPS-North spectrograph of the Telescopio Nazionale Galileo in the Canary Islands, which captured the wobble of the star caused by the planet’s gravitational tug as it orbits its sun. The exoplanet was detected by Kepler’s on-board camera looking for transits – when a distant star dims slightly as a planet crosses in front of it. The smaller the planet, the weaker the dimming, so brightness measurements must be exquisitely precise. To enable that precision, the spacecraft must point steadily in the correct direction. The discovery will lead to a follow-up study by the James Webb Space Telescope to characterize the atmosphere of the distant world and search for signs of life. Kepler has had its shares of ups and downs since it launched in 2009. In 2013, it experienced mechanical failure that left the observatory beyond repair. 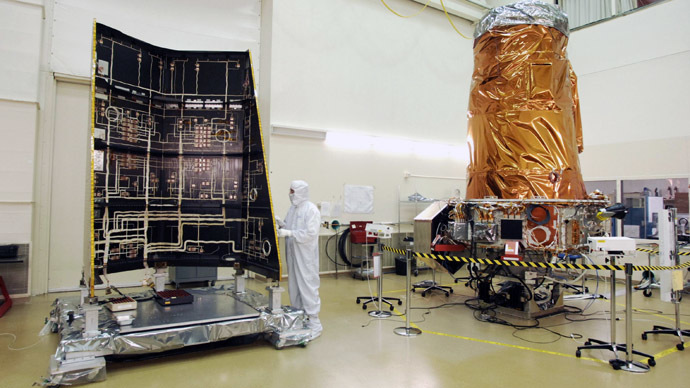 Fortunately, engineers figured out a way to compensate using the pressure of sunlight on Kepler’s solar panels to stabilize the spacecraft for smaller periods of time and repurposed the craft for a “K2 mission” more than a year ago. K2 will also introduce new opportunities to observe star clusters, active galaxies and supernovae. "The Kepler mission showed us that planets larger in size than Earth and smaller than Neptune are common in the galaxy, yet they are absent in our solar system," said Steve Howell, a Kepler/K2 project scientist at NASA's Ames Research Center in Moffett Field, California. "K2 is uniquely positioned to dramatically refine our understanding of these alien worlds and further define the boundary between rocky worlds like Earth and ice giants like Neptune." NASA said that since the K2 mission officially began in May 2014, it has observed more than 35,000 stars and collected data on star clusters, dense star-forming regions, and several planetary objects within our own solar system.